Our King hotel rooms are a comfortable sized open plan room with microwave, fridge and tea/coffee making facilities. 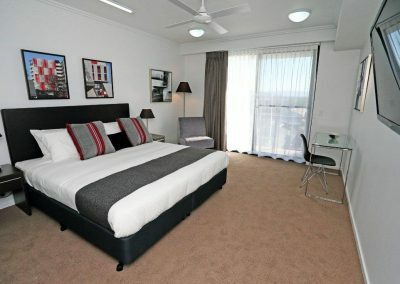 The hotel room feature is one King sized bed and are suitable for a maximum of two guests. 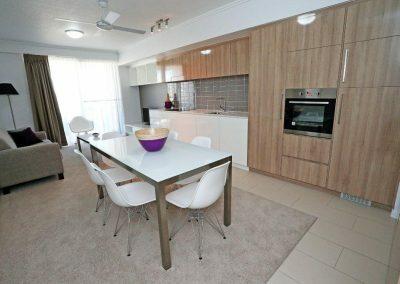 Our stylish and contemporary, One Bedroom Apartments accommodation feature a fully separate bedroom and bathroom, spacious lounge room and dining area, full kitchen and laundry including washing machine and dryer. 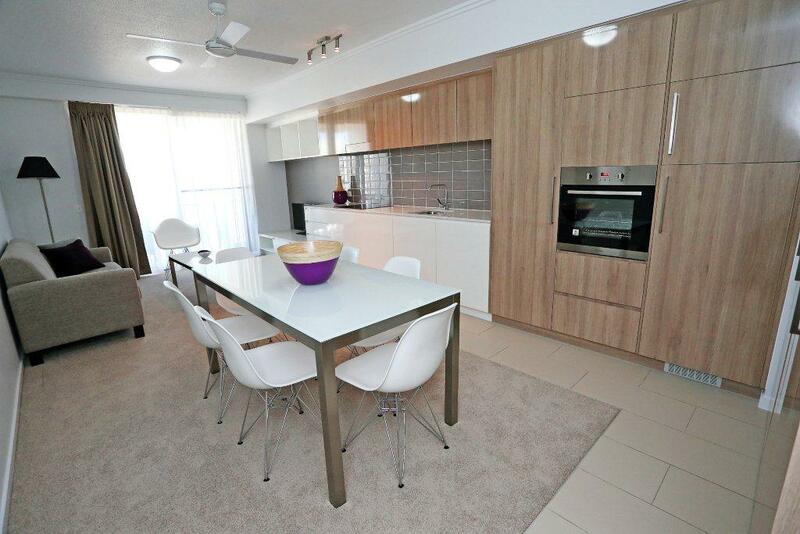 Ideal for short or long term stays our apartments were designed with your comfort in mind. 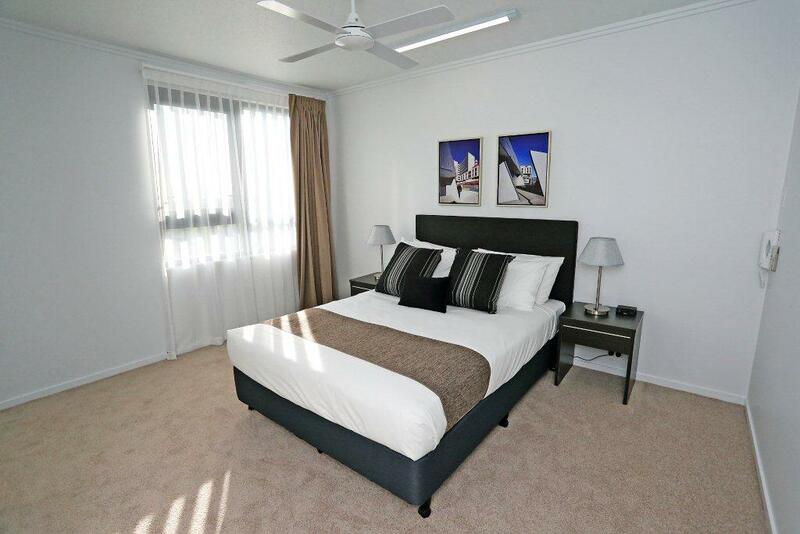 Apartments feature one Queen sized bed and are suitable for a two guests. A rollaway bed can be added at an additional fee for a maximum of 3 persons.